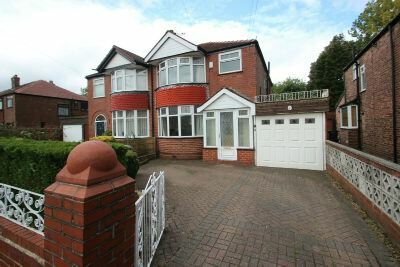 An excellent-sized, extended Semi-Detached which offers over 1000 sqft of Accommodation. 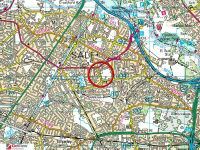 The property is located within this ever popular area close to several of the popular Schools. In addition to the extended Accommodation there is a wonderful, large Private Garden which backs onto Moor Nook Park. The extensions really make a big difference to the living space, most notably the 20' Lounge and Upstairs there are now three good-sized Bedrooms as the Third Bedroom is 14'. Entrance Porch having an opaque, leaded, UPVC double glazed front door with windows flanking both sides. Tiled floor. Step-up to an opaque, leaded panelled inner door through to the Entrance Hallway. Entrance Hall having a staircase rising to the First Floor. Dado rail surround. Glazed panelled doors then open to the Lounge, Sitting Room and Breakfast Kitchen. A further door opens to a useful under stairs storage cupboard which houses the 'Worcester', gas central heating combination boiler. 12'9'' (into bay) x 10'10'' Sitting Room. A well-proportioned Reception Room having a UPVC double glazed bay window to the front elevation. Dado rail surround. Attractive fire surround to one wall. 20'4'' (into bay) x 10'5'' reducing to 9'5'' Lounge. A superb, large extended Reception Room having a angled bay window to the rear elevation which provides lovely views over the Garden. Coved ceiling. Attractive fire surround to one wall. Dado rail surround. 17'5'' x 5'11'' Breakfast Kitchen fitted with an extensive range of modern base and eye-level units with chrome handles and worktops over with inset, corner, stainless steel one-and-a-half bowl sink unit with mixer tap. Built-in, stainless steel fronted electric oven with four ring ceramic hob and stainless steel and glass extractor hood over. Ample space for a range of freestanding appliances. UPVC double glazed, square bay window to the side elevation with fitted worktop doubling up as a Breakfast Bar. UPVC double glazed window and door to the side and a further UPVC double glazed window to the rear which provides lovely views over the Garden. First Floor Landing having an opaque, UPVC double glazed window to the Half Landing. Doors then open to the Three Bedrooms, Bathroom and Separate WC. 14'2'' (into bay) x 10'6'' Bedroom One. A good-sized Double Bedroom having a UPVC double glazed bay window to the front elevation. 13'3'' (into bay) x 10'5'' reducing to 9'3''' Bedroom Two. Another good-sized Bedroom having a UPVC double glazed window to the rear elevation which provides lovely views over the Garden. Loft access point. 14'6'' x 7'3'' reducing to 5'11'' Bedroom Three. A fabulous, extended, much larger than average Third Bedroom having a UPVC double glazed window to the rear elevation which provides lovely views over the Garden. The Bathroom is fitted with a white suite with chrome fittings comprising of: panelled bath, separate enclosed shower cubicle with thermostatic shower, vanity sink unit. Opaque, UPVC double glazed window to the front elevation. Part-tiled walls. Wall-mounted, heated chrome towel rail. Separate WC fitted with a low-level WC. Opaque, UPVC double glazed window to the side elevation. 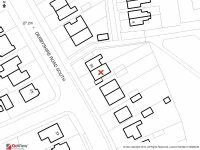 Outside to the front, the property is approached via a block-paved Driveway providing Off Street Parking; this then continues via a up-and-over Garage door into a covered Car Port then leading to the rear Garden and Garage. To the rear, the property enjoys a wonderful, large lawned Garden which is extremely Private backing directly onto Moor Nook Park. There is a paved Patio Area leading to the main area of lawn with established borders - mainly at the back of the Garden.